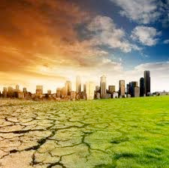 Luanda — Five Southern African countries, including Angola, will gain climatic changes adaptation centres and sustainable use of soils as from 2011, Angop learned recently in Luanda. The information is contained in the conclusions from the second round table on creation of the Regional Centre on Science and Services (RSSC), a Germany-sponsored project estimated at 50 million Euros, attended by representatives of Angola, South Africa, Botswana, Namibia and Zambia. The future centres research centres will focus on the sectors of waters, use of soils, biodiversity, climatic changes, training, information and services, with a view to regional integration. The group of researchers will include technicians from the ministries of Higher Education, Science and Technology, Environment, Agriculture, Rural Development and Fisheries from the five mentioned countries, already working on the project since 2009. Of the total of the funding, 75 percent (37.5 million Euros) will be channelled to capacity building, research and services, 20 percent (10 million) to infrastructures and five (2.5 million) to contingency. Addressing the closing of the round table, the Angolan minister of Higher Education, Science and Technology, Maria Candida Teixeira, said the project honours Angola and the other four countries involved as the works so far done will serve to develop the scientific field and reinforce regional integration.